Adenosine is an endogenous nucleoside with a short half-life that regulates many physiological functions involving the heart and cardiovascular system. Among the cardioprotective properties of adenosine are its ability to improve cholesterol homeostasis, impact platelet aggregation and inhibit the inflammatory response. Through modulation of forward and reverse cholesterol transport pathways, adenosine can improve cholesterol balance and thereby protect macrophages from lipid overload and foam cell transformation. The function of adenosine is controlled through four G-protein coupled receptors: A1, A2A, A2B and A3. Of these four, it is the A2A receptor that is in a large part responsible for the anti-inflammatory effects of adenosine as well as defense against excess cholesterol accumulation. A2A receptor agonists are the focus of efforts by the pharmaceutical industry to develop new cardiovascular therapies, and pharmacological actions of the atheroprotective and anti-inflammatory drug methotrexate are mediated via release of adenosine and activation of the A2A receptor. Also relevant are anti-platelet agents that decrease platelet activation and adhesion and reduce thrombotic occlusion of atherosclerotic arteries by antagonizing adenosine diphosphate-mediated effects on the P2Y12 receptor. 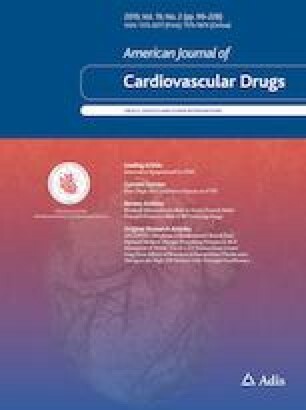 The purpose of this review is to discuss the effects of adenosine on cell types found in the arterial wall that are involved in atherosclerosis, to describe use of adenosine and its receptor ligands to limit excess cholesterol accumulation and to explore clinically applied anti-platelet effects. Its impact on electrophysiology and use as a clinical treatment for myocardial preservation during infarct will also be covered. Results of cell culture studies, animal experiments and human clinical trials are presented. Finally, we highlight future directions of research in the application of adenosine as an approach to improving outcomes in persons with cardiovascular disease. We are grateful to the Elizabeth Daniell Research Fund. We thank Janet and Robert Buescher. This work was supported by American Heart Association Grant 16GRNT26430041. AB. Reiss, D. Grossfeld, L.J. Kasselman, H.A. Renna, N.A. Vernice, W. Drewes, J. Konig, S.E. Carsons, and J. DeLeon have no potential conflicts of interest that might be relevant to the contents of this article.